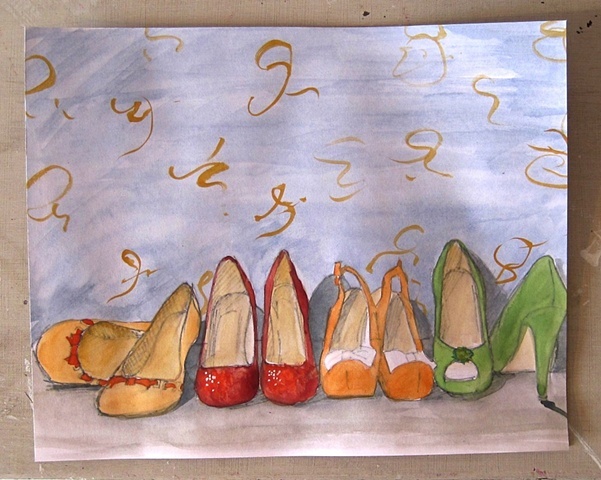 A small sketch of shoes with a vintage style theme. This watercolour on paper is a colour study for one of my large oil paintings, and a great way to own an original piece of artwork. The shoes are bright jewel like colours, against a petrol blue/grey wallpaper, with antique gold details.